Explorers, wanderers and daring adventurers – we want you! 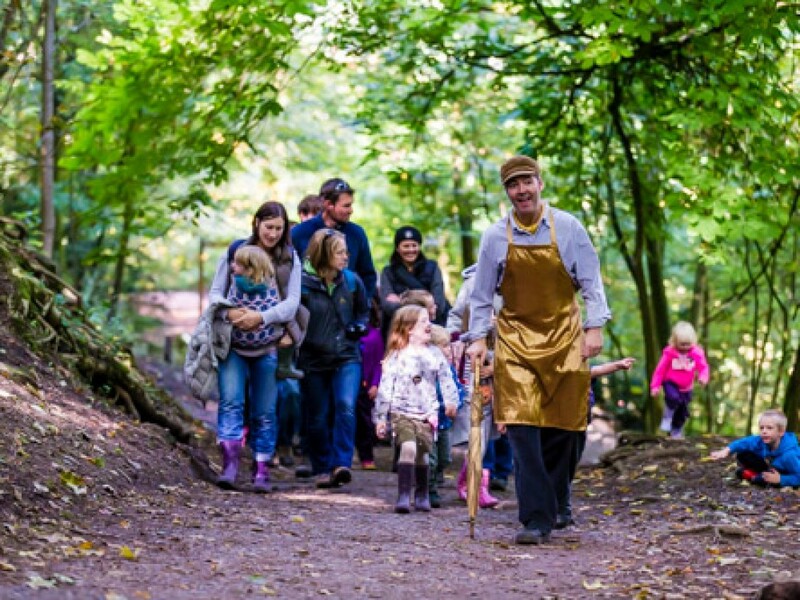 Join us in Crich, as professional theatre company Babbling Vagabonds take us on a Wild Walk outdoor adventure to discover the rascal who has been stealing the King’s golden apples. Pit your wits against riddlers, puzzle makers, and a useless wolf! See if you can discover who the Golden Thief is! This is a ‘for all the family’ event, but it is an outdoor theatrical walk, and will take about an hour to complete. Please come prepared with good walking shoes, a rain coat and other outdoorsy things. Be warned – you may need to be brave, quick thinking and definitely ready for adventure! The show lasts an hour, and takes place near The Crich Glebe Field Centre, and on and around Crich Recreation Ground. There will be 2 performances, starting at 11:00 am and 2:00 pm. Meet at the Glebe 15 minutes before the start. Children under 16 must be accompanied by a responsible adult. Everyone will need a ticket. They are free for those aged 3 and under, and £5.00 for everyone else.